The new seasonal Yam kakigori has been launched since 1 May 2018 at all Kakigori outlets with a combination of delicious flavours that is loved by everyone! 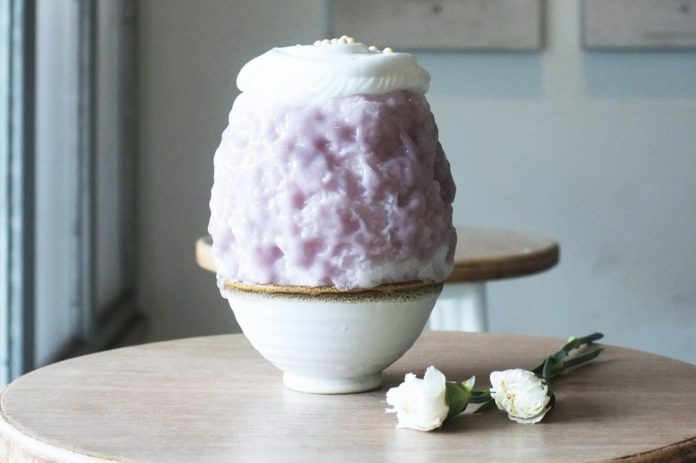 It features a light purplish hearty yam flavoured kakigori topped with creamy coconut espuma and crispy white chocolate pearls. You will discover the yummy yam chunks when you dig in to the fluffy, smooth and cloud-light shaved ice. A small amount of purple sweet potato is added to give it a lovely purple hue. Flavours such as Uji Matcha with Red Bean & Kinako Milk, Watermelon with Rose Espuma & Red Fruits Hōjicha with candied chestnut & kinako milk are also available at all outlets. 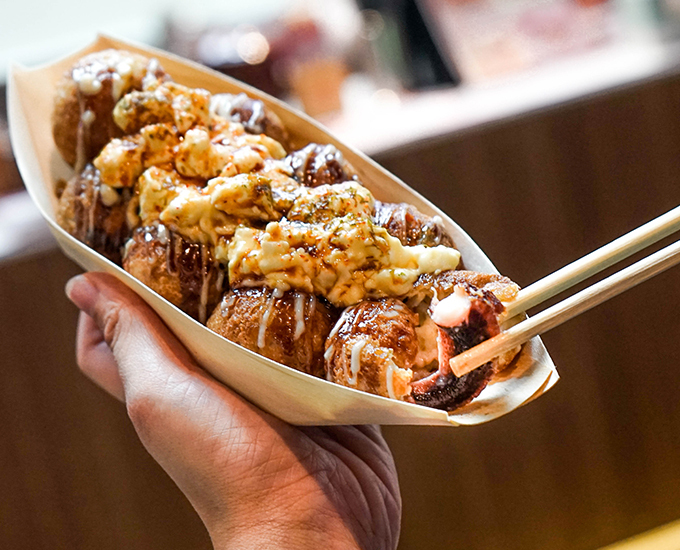 Known as one of the popular Japanese street snack brand, this Takoyaki chain stall from Japan is where now you can indulge in these mouth-watering round balls filled with octopus right here at Malaysia’s Gindaco outlets. 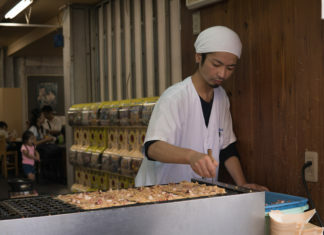 The octopus used for making takoyaki is sourced from Mauritania and the batter is basically made from first-rate wheat flour with seafood soup stock. Each takoyaki consists of 8 grams of high quality octopus and prepared on request to ensure its freshness. The outer layer of the takoyaki is crispy and crunchy, yet tender inside. It is available in four variants – Original, Negidako, Cheese Mentaiko and Teritama. Prices range from RM15.90 to RM16.90 for 8 pieces per variant. Japanese people used to place sōmen in a long bamboo flume carried through by clear, icy water. As the sōmen passes by, it gets plucked out by chopsticks and dipped in tsuyu. In conjunction with the luxury establishment of its Japanese restaurant in Malaysia, Tsubohachi Malaysia offers its renowned Nagashi-sōmen set (flowing noodles set) at a price of RM39.90. Tsuika men (additional noodles) will cost you RM14.90 while tsuika topping (additional toppings) is priced at RM9.90 only. 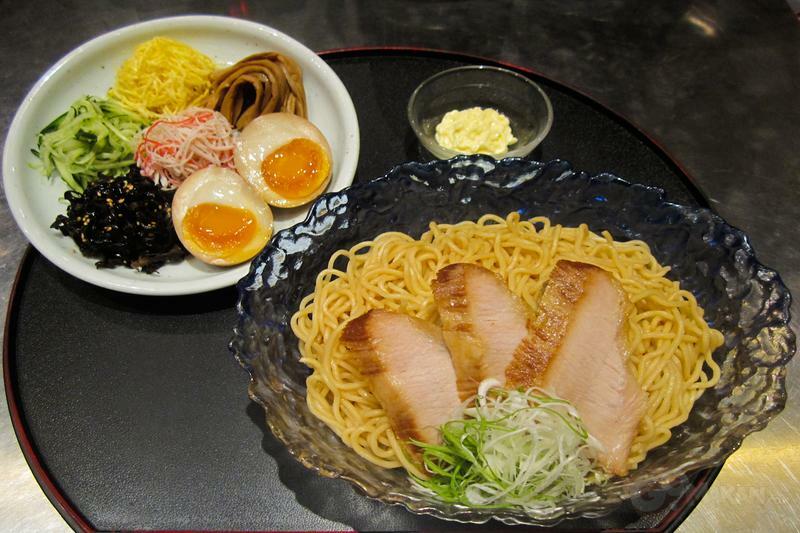 Hiyashi Chuka is undoubtedly different than most of Ramen Santouka’s typical ramen dishes. Instead of the hot soup ramen, this version comes in a light tangy soya-based sauce and is served cold. The premium pork cheek is extremely soft and tender. 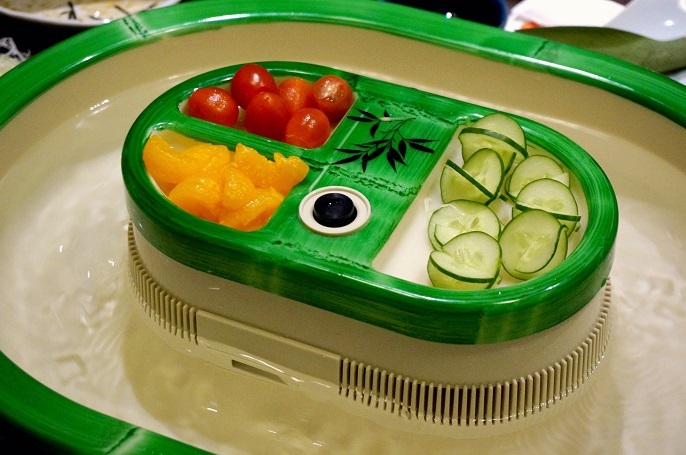 With the addition of vegetables and other superior ingredients such as Aji Menma (Bamboo Shoots), Kyuri (Cucumber), Aji Tamago (Flavoured Egg), Negi (Sliced Onion), Atsuyaki Tamago (Sliced Omelette), Kikurage (Black Fungus) and Kani (Crab Sticks), it provides a sufficient amount of essential vitamins and minerals that is demanded for a balanced diet. 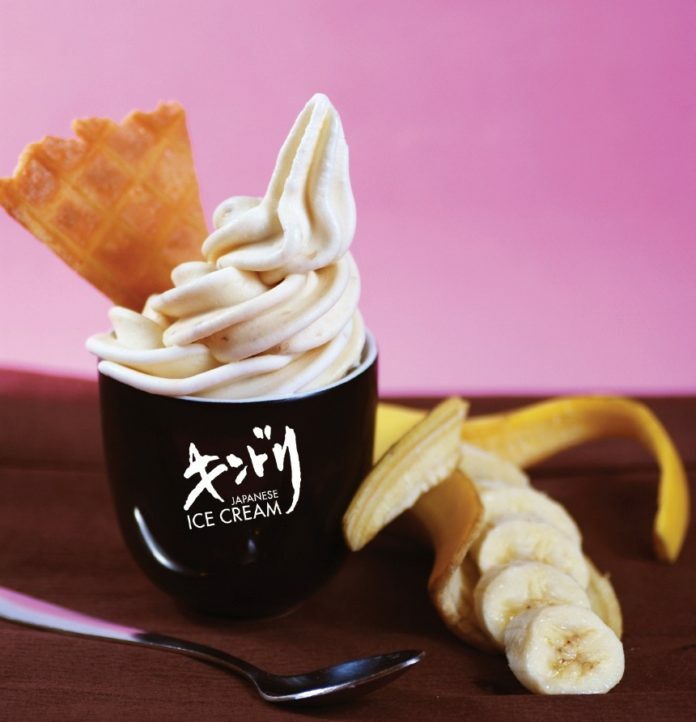 With over 50 different soft serve ice cream flavours consisting of local and international fruits as well as signature Japanese flavors such as Matcha, the Kindori Soft Serve Ice Cream is priced from RM6.90 to RM10.90 or approximately RM20 for two people. An upgrade from cup to cone will cost you only RM1. For each order, 38 grams of fruits is first weighed on a digital scale and added to “The 100% milk” used to make the ice-cream. Tea press provides a pleasant and soothing ambience for an afternoon tea session consisting of a variety of hot and cold Japanese tea, Japanese sweets and dishes too. 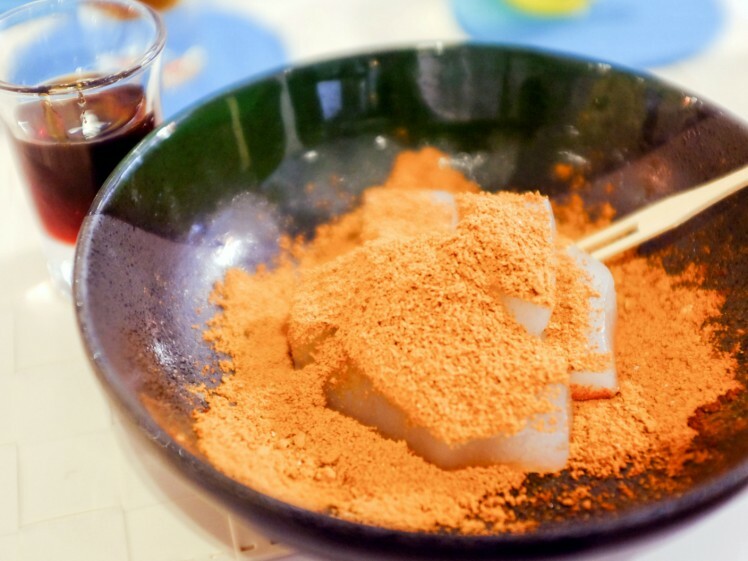 The warabimochi is a chilled, chewy warabimochi (warabi sauce which is Japanese style black sugar syrup) covered with kinako (sweet soybean flour) and seasoned with warabi sauce that costs only RM7! Don’t miss out on this famous summer wagashi (Japanese-style confection) that is currently available at all Tea Press outlets in Malaysia.